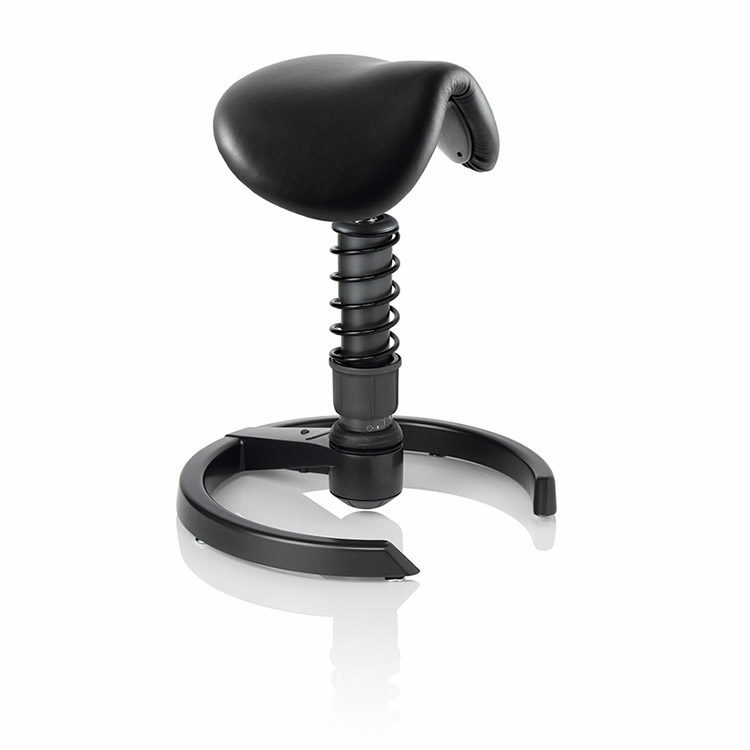 motion | swopper® Saddle – experience multi-dimensional movement on a black leather, saddle seat. Available on an anthracite base with matching spring. Casters are an optional addition. benefits include: • improves posture • combats static sitting & standing • provides relief for back pain • strengthens and conditions muscles of back, abdomen & legs • improves nourishment to the inter-vertebral discs • improves circulation to the lower extremities • assists lymphatic flow • provides a fun and energizing sitting experience.